Even for us who are many miles and millennia removed from David’s famous song, the image of a good shepherd tending his flock is a source of peace and refreshment. But how does this picture-perfect scene connect with our day to day lives? 6075 State Hwy. 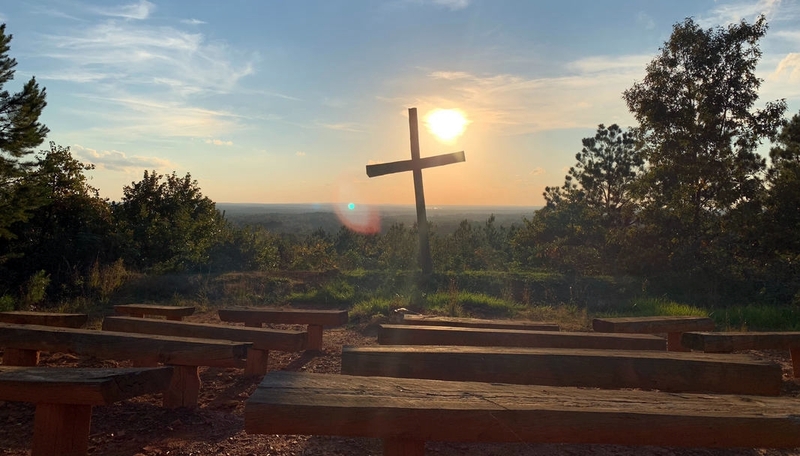 155 N.
Nestled in the scenic beauty of East Texas pines and hardwoods, Gilmont Camp and Conference Center is filled with many modern and rustic cabins, a large retreat center, meeting spaces, and plenty of places to enjoy time with God in nature. 4:30 Registration at Crain Center. Sign up for spiritual direction. Brian Morykon is Director of Communications and Special Projects at Renovaré. A singer-songwriter, worship leader, and writer, Brian lives in the Tampa area with his wife, Joy, and their three children. Margaret Campbell is a graduate of Auburn University with a degree in Interior Design from the School of Architecture. After giving leadership to many different volunteer efforts in Houston, Margaret coordinated the 1997 Houston Regional Conference and the 1999 Renovaré International Conference.She joined the Ministry Team in 1999. She serves on the advisory council for The Art Project Houston and is a member of the Salvation Army Guild. Margaret and her husband Justin have two married children and three grandchildren. Rates includes lodging for two nights and all meals. Register by March 13, 2019 to receive the Early Bird Discount. Registrations are being processed by Gilmont Conference Center. Please contact Marie Nelson at [email protected] with any questions. Scholarships may be available upon request.